This album of of BEAUTIFUL PIANO MUSIC combined with violin, guitar, flute, oboe and other ambient instrumentation, takes listeners on a SOOTHING MUSIC journey of music inspired by America s mystical and sacred places. GRAMMY® Winning artist Laura Sullivan has created another blissful masterpiece that you will love for MEDITATION MUSIC, MASSAGE MUSIC, HEALING MUSIC, RELAXING SPA MUSIC, MUSIC THERAPY, BACKGROUND MUSIC, YOGA MUSIC, MUSIC FOR RELAXATION, CALMING MUSIC FOR KIDS, DINNER MUSIC, CALM MUSIC, and RELAXING MUSIC FOR SLEEP. Included in this collection of MODERN CLASSICAL MUSIC FOR RELAXATION and NEW AGE MUSIC is the CALMING MUSIC of the popular BEETHOVEN SONATA known as theBEETHOVEN MOONLIGHT SONATA. If you are a lover of CONTEMPORARY CLASSICAL MUSIC, RELAXING CLASSICAL MUSIC, ROMANTIC PIANO MUSIC, STRESS RELIEF MUSIC, and THE MOONLIGHT SONATA then you will love Mystical America. Don't we all just love listening to music that makes our heart sing and all our worries disappear? Well, I, for one, am always in search of good music that can make me feel so relaxed that I want to dance with abandon and feel a surge of positive energy in my heart. Recently, I got lucky when I got to know about Laura Sullivan and hear her absolutely divine music! This is my first experience of listening to Laura's music and right from the first instant I was caught, mesmerized and then lost in the beauty of her creations. 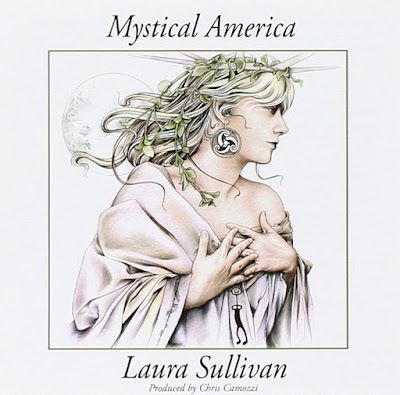 Her album, Mystical America, contains twelve music tracks that combine a variety of musical instruments and leave the listener feeling happy, energized and inspired to tackle their lives better. A great meditation, stress relief and romantic background companion, each track invokes different feelings in the listener and also soothes the soul and heart. I felt like I was floating on a cloud of peace and happiness, totally relaxed and disconnected from the chaos, stress and problems of my daily life. There are no words in the tracks but only music that is so lovely that once I started I could not stop listening. The tracks feature soulful Piano music and are so breathtakingly beautiful that they have made a place in my favourites list of music albums. Each track washes gently over us, leaving us at peace and completely relaxed. I loved loved loved Laura's musical genius and cant stop listening to this album. A great gifting option and a lovely way to relax and get lost in some marvelous music that is both soft and yet so soothing, I strongly recommend Mystical America to everyone and will be listening to more musical albums by Laura. 4.5 out of 5 to Mystical America from me. This one is a must have! I am so glad I got introduced to such gorgeous music and to such a very talented composer. Go grab your own CD and checkout Laura's other music albums. I received the album from Laura Sullivan for review and I am so thankful to her. 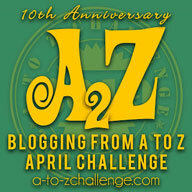 The above review is my honest and unbiased opinion and in no way influenced. 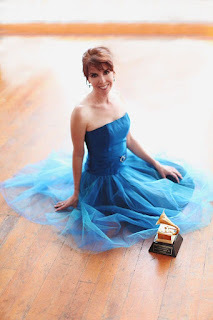 Laura Sullivan is a GRAMMY® winning composer and recording artist. Her original music has been included in the score of two Emmy winning documentaries, as well as in many popular television programs and advertisements for Fortune 500 companies. Her recordings consistently receive more than 4 million spins a month on Pandora alone, among many other stations around the world, resulting in broad international airplay. Her albums have charted in the top 2 on The Zone reporter, the internationally recognized New Age and ambient radio chart.